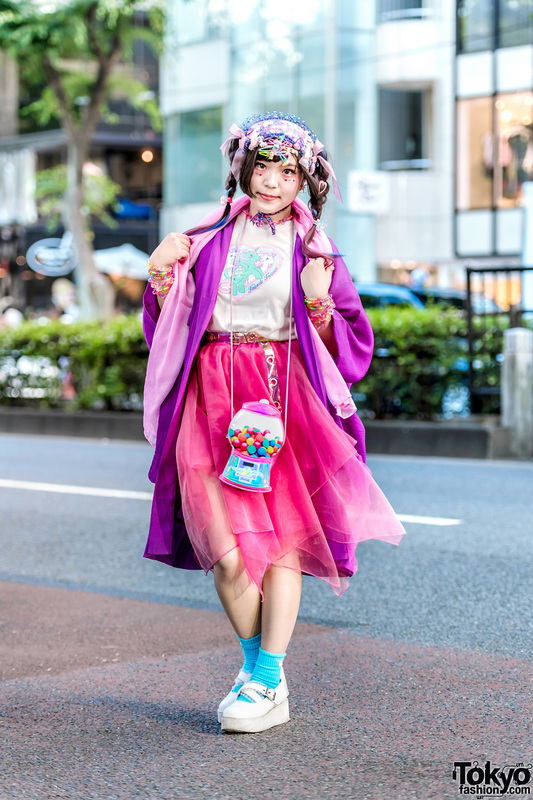 80s90s00s fashion designer sporting a kawaii streetwear style while out and about on the Harajuku street one night. 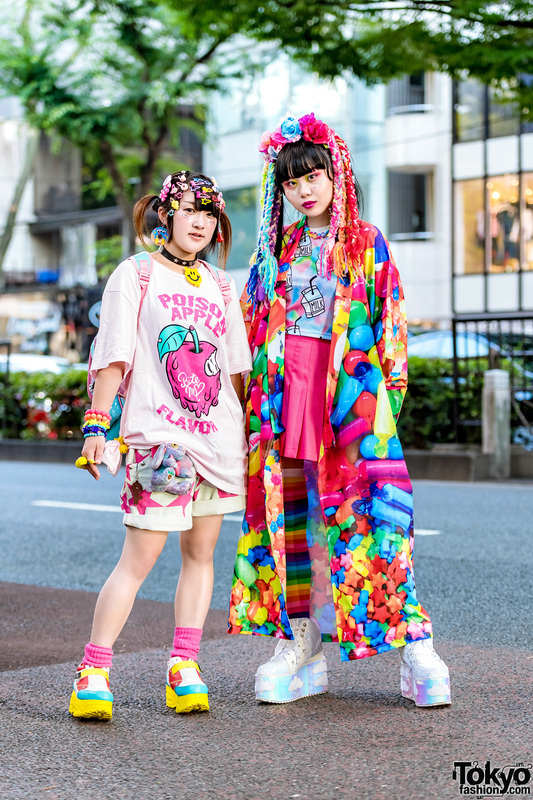 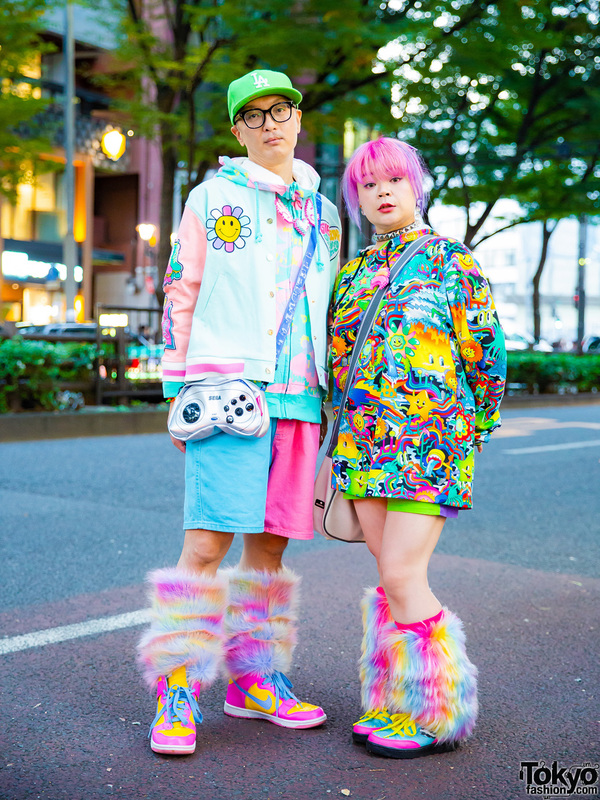 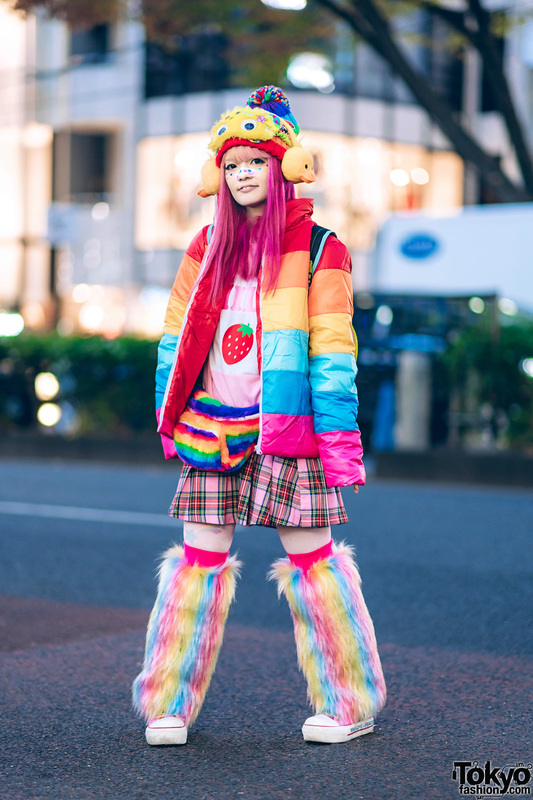 Harajuku couple in colorful kawaii streetwear style with printed jackets, colorblock shorts, furry leg warmers, colorblock sneakers and kawaii accessories. 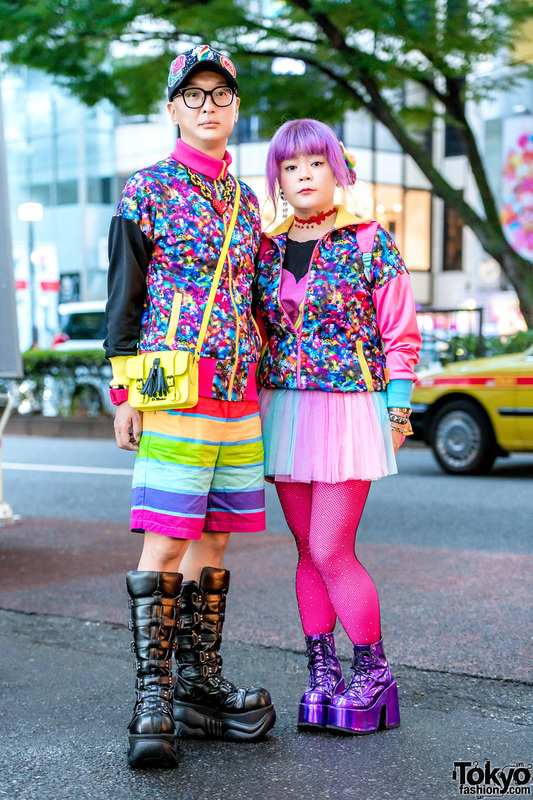 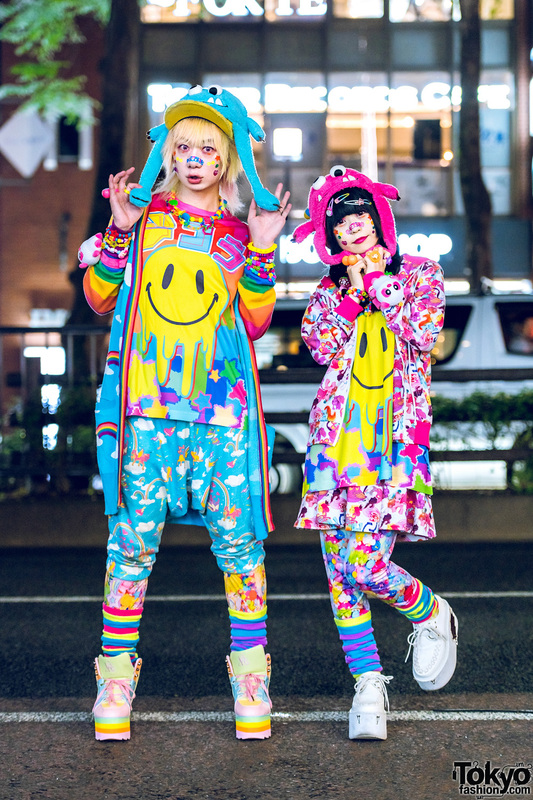 Japanese duo sporting kawaii couple fashion with matching printed jackets while out and about on the Harajuku street.